There is still a young little girl inside of me who still absolutely adores cute stuff and my heart would squeal in excitement. 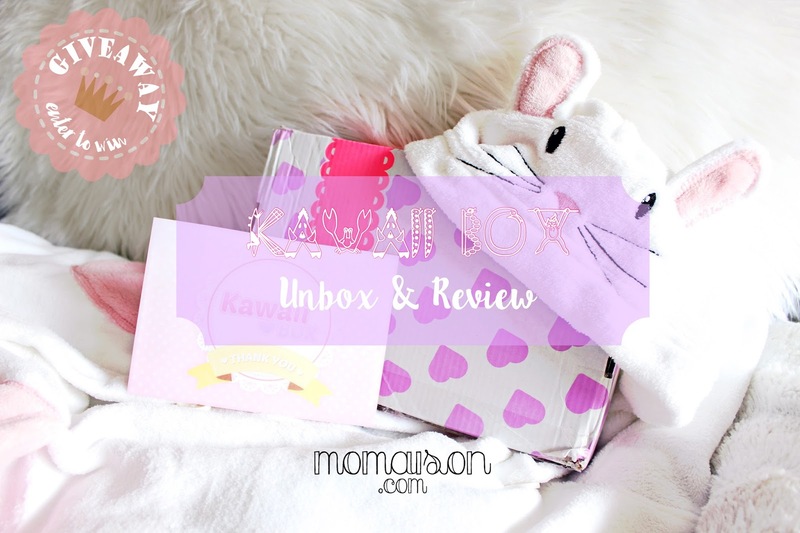 And this June box from Kawaii Box managed to bring that little girl out of me! 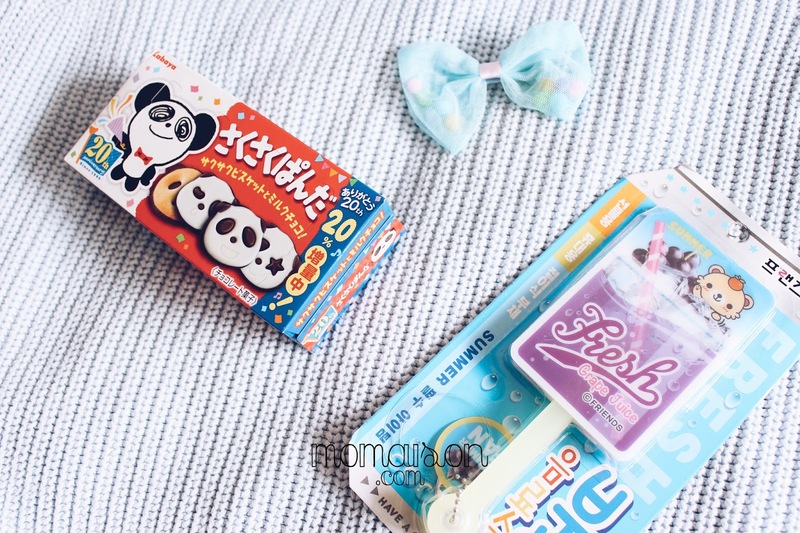 I love all the kawaii cute stuff packed in this monthly box (of 10-12 handpicked kawaii items). I'm sure it will bring a little girl out of all the grown up ladies (who are young at heart :D) as well. If it doesn't work that way for you, it is still the perfect box for a little girl. I assure you she will love the box and you for giving her the box! We'll skip this and let the pictures speak for itself, shall we? Just like the Japan Candy Box, the box comes with tips for the perfect unboxing and you also get a chance to win a Kawaii Mega Box worth USD $100 when you share your unboxing on your social media accounts with the #kawaiibox! It also comes with a pretty 'Thank You' card right on top of the goodies so it's the first thing you see. It looks a little like BE@RBRICKS. I like the plastic chain as it is easy to hook on anything, unlike the keyring chains. Very cute little pink bag charm I would put on my black YAK PAK backpack to make it look less dull! 6 different colors of glitter — Silver, Blue, Orange, Gold, Yellow & Pink. Great for sparkly crafts! I like that it has a cap and when you open it, it has 5 small holes to sprinkle the glitter from. Lesser mess compared to the ones where there's just one big opening! You can better control the amount of glitter you want on your craft. Love it! Gotta do some arts & craft with Hansel with it soon. I love a purse just for small change or when I'm just going out for a quick errand where I don't need to bring my whole wallet. And a cute little purse is definitely better than just a little purse right! Just looking at it makes me so happy! Elephant plushies are just so adorable!!! And in pink as well?!? We got Hansel a cute little grey elephant plushie from ZSL London Zoo and now I got one! Hansel loved it and wanted to eat it hahaha! The packaging is kawaii, the cookies are yummy! Couldn't ask for more! A blue mesh clip-on hairpin with colorful tiny balls in it. So cute! I'll try to integrate into my look one day.... and hope I don't look crazy! If so, I'll probably gift it to my pretty nieces or my future daughter hahaha! Perfect for summer in Sweden because it can get really warm in the house without an electric fan. Even better if you're already in a tropical country and are always outdoors. Or if it's for a little girl, the kinds of things they can put inside is limitless. I love love love love this! 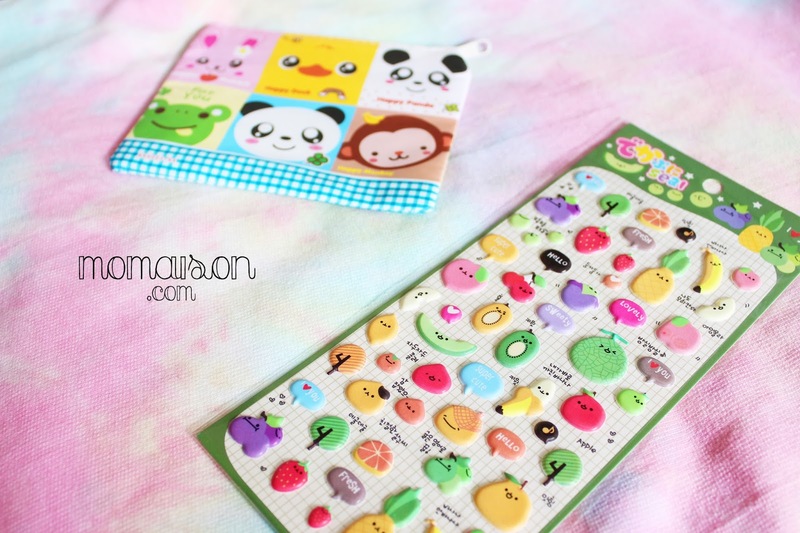 I love stickers and these fruit ones are just so cute! They are also the puffy kind and not the 2D paper stickers, which makes it even more adorable! I don't even bear to use them myself, much less for Hansel to play with it and paste them anywhere HAH. Isn't the Kawaii Box just super kawaii? Every little girl (in a grown up) would absolutely love it. I am already thinking of gifting one to my 8 year old niece for her birthday which was on the 9th July. I think she will be thrilled to receive it! Even the box itself is so lovable! Similar to the Japan Candy Box, they send you tracking information for the box in an email. And shipping is also FREE worldwide. You can cancel the monthly plan anytime, but the 3, 6, 12 months subscription cannot be cancelled/refunded after the first box has been sent out. You can read more about their subscription HERE. Which product(s) in the June Kawaii box did you like the most? Giveaway ends on the 31st July 2016. Winner wins 1 Kawaii Box. 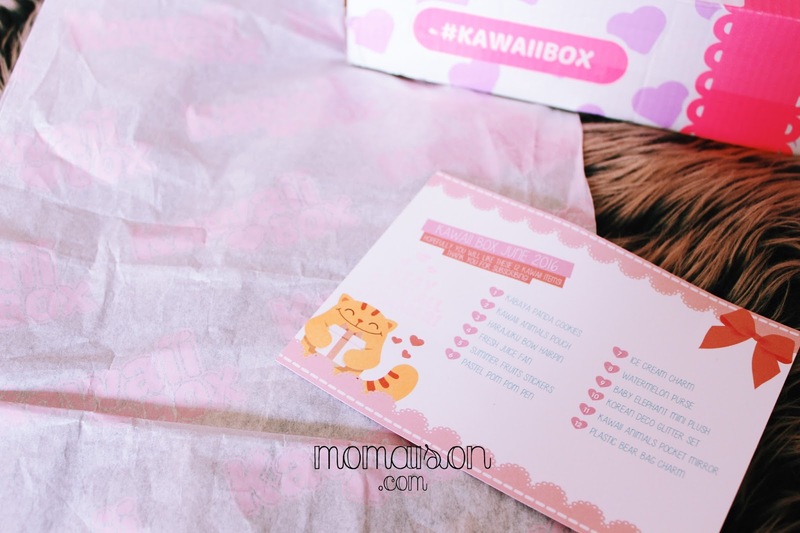 Comment on this post, why do you want to win a Kawaii Box? Then enter the Rafflecopter below. 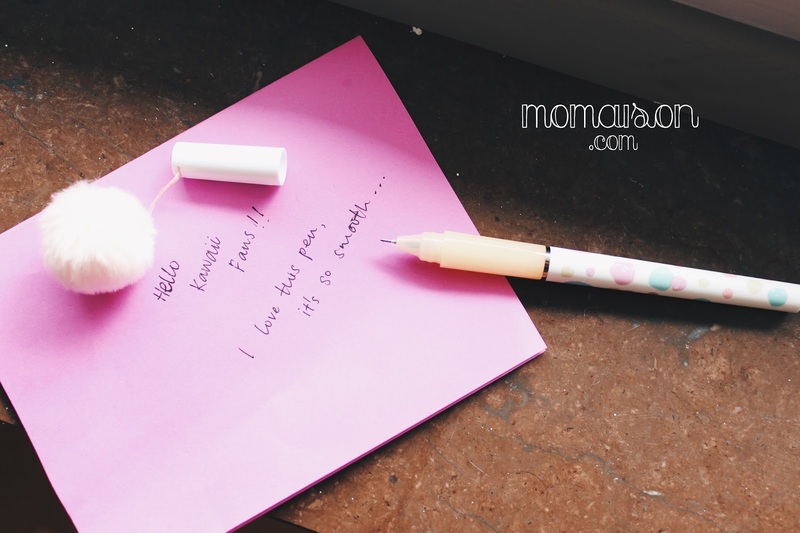 Disclosure: I was provided with June's box from Kawaii Box for the purposes of this review. I have heard my kids mention the word kawaii and that it means cute. These Japanese stuff are indeed cute for my daughter. I am sure she will like it. Really cute items for lovely owner but it will be the best in everything. Japanese toys are indeed very cute and lovable for girls. They definitely weren't kidding when they said Kawaii! It's really so adorable. I'm sure my girls will love a box like this, especially since it's filled with items from Japan! The items are so cute! But I think they are more for my nieces. They'd love these! I like the pink pom pom pen. They have so many cute items in these box. Kids and ladies would love this. I never knew what to use glitters for, what do you use them for? I"m not so artsy so these things are a bit lost on me. But it's a cute stash. 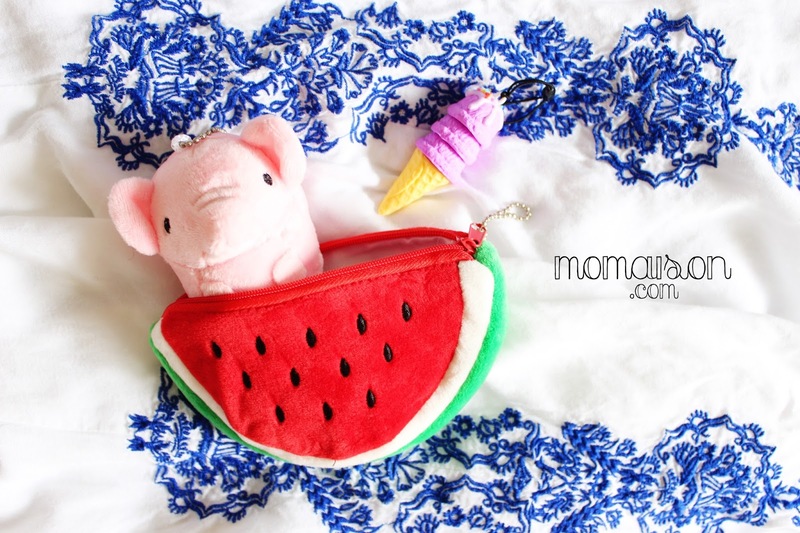 I love the watermelon purse. It's something I can see myself using for our coins. I want to win because I love cuteness. I love love love infinite times love Kawaii items! !Please please I really hope to win.Thanks for the chance!!!!! Honestly,I really wanna win this for myself.I dont have smaller sisters to share this with but I would surely love to share it with my best friend! !I really love cute things n this is so cute! !God,really!